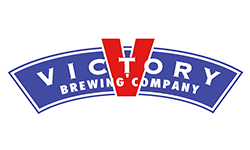 Victory Brewing Company’s Parkesburg Taproom is located in Victory’s state of the art production facility. While there, take a self guided tour on the mezzanine level and get a first hand look at the bottling, canning and kegging lines! Parkesburg’s Taproom boasts 40+ Victory draft lines, a growler machine AND a crowler machine. Stop by the retail store before you leave to check out the latest and greatest merchandise, build your own 6 packs, and cases to go!